The strategic importance of Maldives to India needs no emphasis; located in the Indian Ocean, the Maldives archipelago comprising 1,200 coral islands lies next to key shipping lanes which ensure uninterrupted energy supplies to countries like China, Japan and India. But happenings in the recent past indicate, Maldives has been sucked into the gravitational pull of China, away from India, just like Nepal. There cannot be any denial that the manner in which the India-Maldives equation has been allowed to drift, indicates crass intelligence failure coupled with our inability to understand The blame cannot solely be attributed to China’s ‘Debt Trap’ policy, and that India cannot match up to it economically � where it should be a matter of focus. We cannot also take solace from what India is planning to build in Assumption Island, Seychelles, birthing facilities in Oman port etc, especially when the Assumption Island plans do not include Indian presence beyond building the jetty and airstrip. Geopolitics involves constant monitoring, perception building, applying acupressure at multiple planes simultaneously in consistent fashion and taking corrective actions in time. The shortcomings that could be attributed to our foreign policy with reference to Maldives are: belief that we don’t need a national security strategy (NSS), resulting in disjointed approach at all levels; belief that diplomacy can succeed without requisite military muscle; belief that economic rise is panacea for everything; belief that means conventional conflict, and; belief that China will not seek confrontation in Indian Ocean Region (IOR) because of multinational presence. 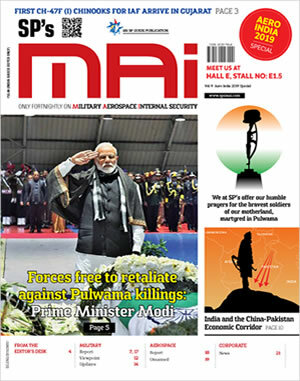 When the pressure mounted, our media went hoarse shouting about India having put its Special Forces on alert, TV debates about a repeat of Op ‘Cactus’ as in 1988, and the like � similar to beating the drums about the ‘surgical strikes’ which is against the norms of covert operations, in addition to jeopardizing similar operations in future. If India wanted to act, it could have quietly moved a naval task force to a suitable distance and kept other plans under wraps. What did China do? China messaged it is against any military intervention in Maldives. But now bloggers on China’s defence forum are talking about movement of a PLA Navy (PLAN) task force to Maldives comprising a Type 903 Replenishment Ship, Type 071 LPD (Amphibious Landing Ship), Type 052C/D Destroyer Ship and Type 054A Multirole Frigate. It is not known whether this is true or part of psychological warfare by China, for this is something that India needs to confirm in synch with its strategic partners. But if it is true, then it implies that while China is allergic to any military intervention in Maldives, it will not hesitate to do so herself. This must be read in conjunction Ahmed Naseem, former Maldives Foreign Minister warning in April 2006 that Maldives was looking to let the Chinese build a port at Gadhoo Island, people had already been evacuated from the region and that the Chinese were currently building roads there. A Chinese TF centred on Maldives creates new complexities for India. Not without reason, Zhiyong of Shanghai Academy of Social Sciences says, China is promoting Maldives as a maritime pivot; Maldives could become supply base for Chinese military and civil vessels. Post the Maldives-China FTA and Maldives already owing 70 pre cent of its total external debt to China, above developments pose serious challenges to India. China and Pakistan would like to ensure that Yameen will continue to remain in power beyond the next elections in Maldives. For this, all stops will be removed at the political, financial, military and ideological levels, latter even soliciting the service of terrorist mullahs of Pakistan, monitoring teams of United Nations notwithstanding. India needs to review its policy in conjunction its strategic partners accordingly.